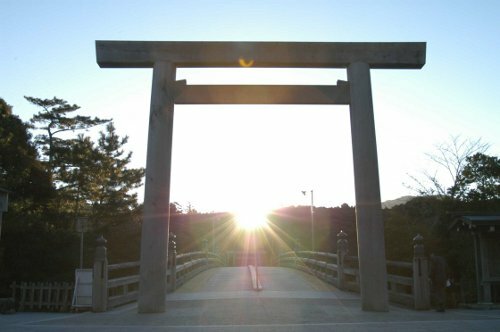 Jin Shin Jyutsu, according to the ancient records, dates from before Moses and Gautama Buddha but was dormant for 1200 years. The knowledge was transmitted by oral tradition until it was written down in the Kojiki (Record of Ancient Things, Japan, 712 A.D.). The Kojiki appears to be the mythological story of Creation, yet it is actually the story of ourselves. The Gods and Goddesses, their lives, loves, and battles, are the representation of the different flows within each of us. With the Kojiki’s deeper meaning symbolically “hidden”, the true concepts of this Art became lost and only the written records remained. In Japan, around the turn-of-the-century, Jiro Murai, a young philosopher from a prominent medical family became terminally ill. He asked his family to leave him at their mountain retreat alone for seven days and return on the eighth. Jiro Murai had read about great sages in the past who had experienced “miracles” and enlightenment. In the isolation of the wilderness he utilized the techniques of ancient teachings and experienced the profound Art of what he later called Jin Shin Jyutsu. As each day passed, with severe loss of body heat shifting from periods of consciousness to unconsciousness, he experienced, on the seventh day, a feeling of being lifted out of a deep freeze and into a furnace of fire. When the tremendous heat passed, there was no more pain, and peace encompassed his entire body. He fell to his knees in gratitude to the Creator and vowed to dedicate his life to studying this lost Art. Jiro Murai’s name became widely known in his travels as he shared this ancient philosophy. In the 1930’s he was summoned to the Royal Palace by the Emperor of Japan. Upon treating the Emperor, he was granted permission to study the sacred information in the Imperial Archives. This enabled him to research this lost Art and rediscover it in its totality for all mankind. 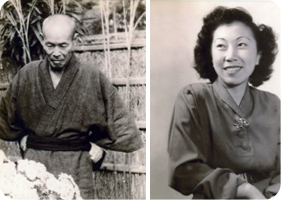 Working as a translator in Japan after WWII, Mary Burmeister was sought out by Master Murai. He asked if she would like to study with him and to take this gift back to America. She attended his gathering and knew that her life’s purpose had been realized. During her fifty years of study, research and love of this Art, Mary has translated the teachings, written books, and given treatments and lectures all over the world. Many studied with Mary and Pamela Smith was one of those individuals who found her way studying and taking classes from Mary for over 28 years. It was my privilege to have studied with Pamela for many years and to do advanced training with her in Northern California. Jin Shin Jyutsu is the KNOWING of the 3 Main Energy Flow Patterns that descend and ascend within the body. They harmonize and balance the entire system. Now the question arises as to “What is energy flow?” A simple analogy would be a comparison to a car. What makes the lights and electrical system work? It is the battery which is the necessary energy source for the functions of the vehicle. And so the energy flow within us would simply be “the battery of life”…our source for all functions of the body system which can be kept in harmony, recharged and rejuvenated. The hands are used like jumper cables contacting 26 “Safety Energy Keys” located within the 3 Main Energy Flow patterns in the body. This helps redirect, unblock, and recharge the flow of energy along the pathways. The 26 “Safety Energy Keys” (or points) are Universal Numbers in that they have deep meaning and location within the body. Flowing and spiraling in and out of these Main Energy Flow Patterns are 12 individual Organ Function Flows. When we are not in harmony with the 3 Main Flow Patterns, these 26 Safety Energy Keys will lock or shut down. Symptoms of the disharmony will appear brought about by our thoughts, attitudes, emotions, diet, work habits, heredity, accidents and/or environment. This is a “friendly” reminder to get in touch within ourselves and change our patterns. What will happen in a Jin Shin Jyutsu session? In a Jin Shin Jyutsu session, lasting about 75 minutes on the table, the client remains fully clothed lying on the back. 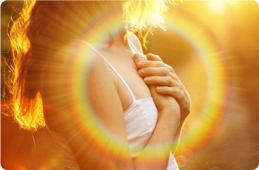 The practitioner listens to the energy pulses located within the wrists of the client. The wrist pulses connect with the 12 Organ Function Flows and are used as indicators of the body’s state of harmony rather than for diagnosing. The practitioner proceeds to use the Safety Energy Keys (points) to harmonize, redirect, unblock and recharge the flows along the pathways of the body. Practitioners are not the “do-er’s”. It is not their personal energy used. They are simply being “jumper cables” to assist the flow within the body of the infinite supply of Universal or Source Energy. Practitioners are also able to share self-help awareness with their clients so that the energy continues to circulate and re-balance. It should be emphasized that Jin Shin Jyutsu is an Art rather than a technique. An Art is a skilled, limitless creation whereas a technique is a mechanical application. Harmonizes, redirects, unblocks and recharges the energy flows along the pathways of the body. Realigns individuals to return home to their original flowing energy blueprint of Being. Opens spaces within the body and clears away/dissolves disturbances enhancing possibilities to emerge. In this deep and sacred process of “coming home” we may find roadblocks along the way. In the results I have seen with my clients it may take a period of time for these “roadblocks” to dissolve and/or reveal themselves. Dissolving of energetic disturbances or “triggerings” in the body can take time as the “body conversations” (patterns) shift in layers – like peeling an onion. 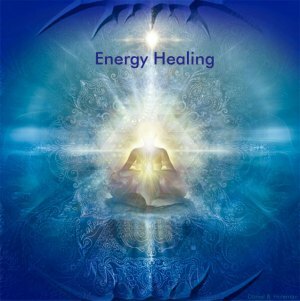 At times there may be an increase in disturbance or even anxiety/disorientation for a brief period after a session as the energetic system reconfigures itself. This could also result in an increase in physical symptoms until the system “reboots” and harmony is restored via the new pattern of restored flow. This usually only lasts a few hours or a day at most. This work is subtle and powerful. This means that concerns that are manifesting in symptoms of imbalance, dis-ease, anxiety and other life challenges may take time to resolve or shift. The wisdom in this approach is that the restructuring from imbalances of all types can then result in laying a new foundation from which to breathe, move, and take action in life. Post-session there can be a short period of needing more rest as the body settles into a new flowing foundation. Honor that and keep water intake up to support. “Healing” comes to us in many forms…. We are always utilizing parts of Jin Shin Jyutsu naturally: folding our hands, leaning on our cheeks, placing our hands on our hips. With increasing awareness we understand what these holds mean, how the energy moves to unblock the stagnations, when to utilize the flows and mudras, where the energy flows and the why of life coming from Source. I am here to partner with you on your life journey – to acknowledge and assist in embodying your deepest gifts, creativity and wisdom and your most vital health. Consider this an invitation to collaborate with me in opening your self to the exquisite presence and deepest expression of your Being. It is with deep gratitude that I offer this depth of support through the energy medicine of Jin Shin Jyutsu. Are you ready to take the leap and expand your container? 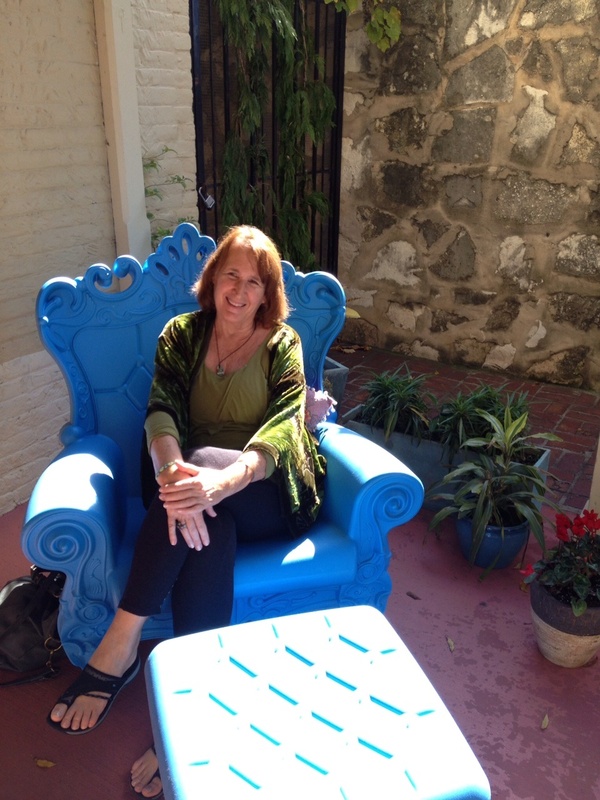 Please call or e-mail for an appointment – deep gratitude! “I have been working with Gaye over the last several months and have never had an experience quite like it. I go into a deep restful healing state while she works on me. It is all clothes on and quite remarkable. Last week my friend had a session with her and was soooo taken. She rescheduled immediately! Then called and thanked me! I am more grounded, relaxed and connected with myself. I feel like I have been in a deep place of rest and my energy improves instantly. The following is an entry from my gratitude journal, which was written a couple months after I chose to begin Jin Shin Jyutsu sessions with Gaye. It’s a personal reflection of our work together and I hope it provides insight to those seeking to understand the many benefits of Jin Shin Jyutsu. Gaye Abbott is an advanced practitioner of Jin Shin Jyutsu and has placed her hands on hundreds of people using this compassionate Art. She assists individuals to drop the layers that cover the natural innate blueprint we came in with (Soul) and reveal, through a combination of evolutionary energy work, Jin Shin Jyutsu, yoga therapy and breath re-patterning, the larger purpose and co-creative expression that we are here for. Appointments in Austin or Houston (see below), Texas can be set up by calling or e-mailing her at 802-318-6296/Skype: gaye.abbott or JoyfulGaye@NaturalPassages.com. Travel to your location other places in the U.S. or globally is available. Please feel free to inquire. A sanctuary has been respectfully and creatively prepared for you to rest deeply within each treatment and to restore your natural innate breath of life. Deep gratitude to Pamela Smith, Mary Burmeister and Jiro Murai for bringing Jin Shin Jyutsu to me! If you live in Houston, or know someone that does, Natural Passages Consulting has gone even further South and is currently offering Jin Shin Jyutsu, Yoga Therapy and/or Mentoring/Spiritual Coaching every 4-6 weeks. Thank you so much for this beautiful note! I am not familiar with Miriam Cortez, but would have loved to have known her united in the understanding of the powerful work of Jin Shin Jyutsu. I left this art for several years traveling other paths and now have been recently guided back to offer it to those that may benefit from its healing possibilities. It feels like coming home….I am actually a California native (San Diego)and now find myself delightfully in Austin, Texas of all places. Thank you again for reaching out to me! It touched me deeply!! If you are ever down this way please let me know. I came across your beautiful websites looking up someone who also does Breathing Spaces retreats…..and I’m delighted that the Universe found you for me! I’ve lived in San Diego for 30 years and studied Jin Shin Juytsu with Jan Kennedy in 1985. Did you know Jan? She did what she called PsychoEnergetics at the time, combining Jin Shin and Astrology. Such wonderful work! I love the rich and traveled life you’ve lived…..the scope of your passions…..and all the powerful healing services you offer! Thank you for going for the gold, for putting yourself “out there” and sharing your gifts with the world! You’re truly an inspiration!